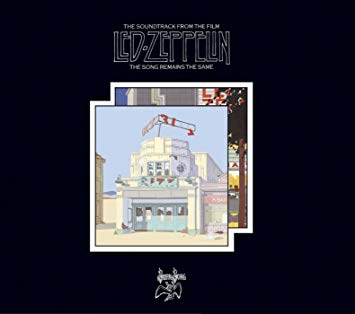 I have always preferred "How The West Was Won" of the two great seventies Led Zeppelin live albums, feeling that this one was a bit sloppy in places (the opener "Rock 'n' Roll', for example), however, it is the new 2018 remastering that is being considered here. I have to say that, although I have no problem with the 2007 remaster, but, as the audiophiles will not doubt say about this one, it certainly breathes. It is not quite as muddy as the previous remaster and has more sharpness, clarity and, dare I say, subtlety. The previous one is more bombastic and, although this one is still thankfully loud, there are definite plus points in terms of definition and more discernible nuances. I am sure people will come up with "waveforms" or whatever they are to show that there is a discernible difference. I just tend to rely on my ears and how it sounds, first off. I have been living with the pre-release downloads of "Rock 'n' Roll", "Black Dog", "Misty Mountain Hop" and "The Ocean" for a while now and the above applies to them, for sure. I am glad to find that the rest of the material has followed suit (not that there was any reason not to). 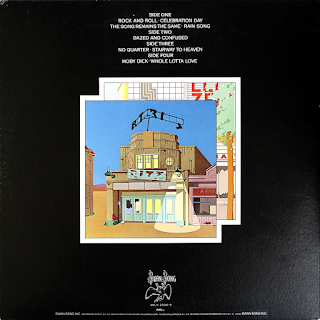 "Celebration Day" is a delight, particularly the guitar solo bit. The bass is subtly thumping too, if that is not an oxymoronic thing to say. The bit where the full band kicks in during "Misty Mountain Hop" is pretty much perfect too and the guitar solo after it. Beautiful. Powerful. Yet textural. Jimmy Page seems to have got everything right with this one. So, does this release's sound quality justify buying the album again? In my view, it does.